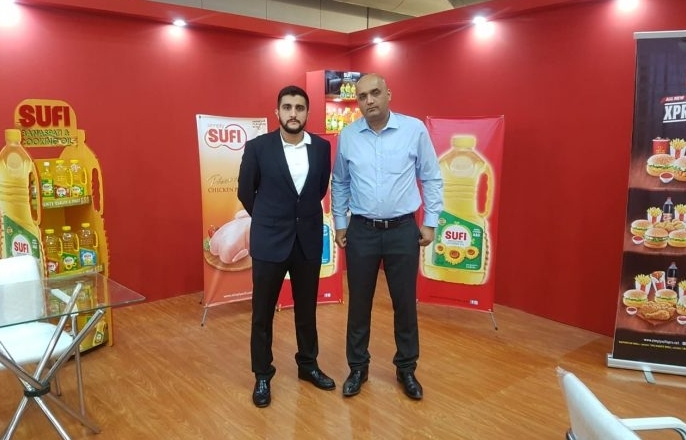 PR: Simply SUFI and Simply SUFI XPRS took part in the three-day International Poultry Exhibition 2018 held at the Expo Center Lahore on 27 – 29 September 2018. IPEX is one of the largest and most prestigious poultry exhibitions held in Pakistan. The basic purpose of IPEX is to provide a capable platform to the poultry industry at large and is attended by over 10,000 visitors including foreign delegates and dignitaries. The attendees are mainly comprised of various stakeholders from the industry; including researchers, poultry entrepreneurs, investors, students and consumers. Through IPEX participants and attendees are able to find professional guidance related to the poultry industry along with international exposure. “The IPEX is a great opportunity for us to showcase our products to both fellow industry members and consumers both in Pakistan and overseas. Offering fresh and frozen chicken products, Simply SUFI has made its name in the poultry industry while supplying the highest quality, premium chicken products with international quality standards. Simply SUFI’s excellence and constant vigilance to provide only the best chicken products raised with utmost commitment and care for consumer health and safety has made it a household brand name in a short span of time. Like every year, this year’s IPEX offered a junction for global and regional market players that will now lead to high growth and rapid development of Pakistan’s Poultry Industry. Simply SUFI being one of the largest local brands in offering premium quality chicken products promised to continue the legacy of putting its consumers first by bringing in the most innovative solutions to the local industry and producing international quality standard products.